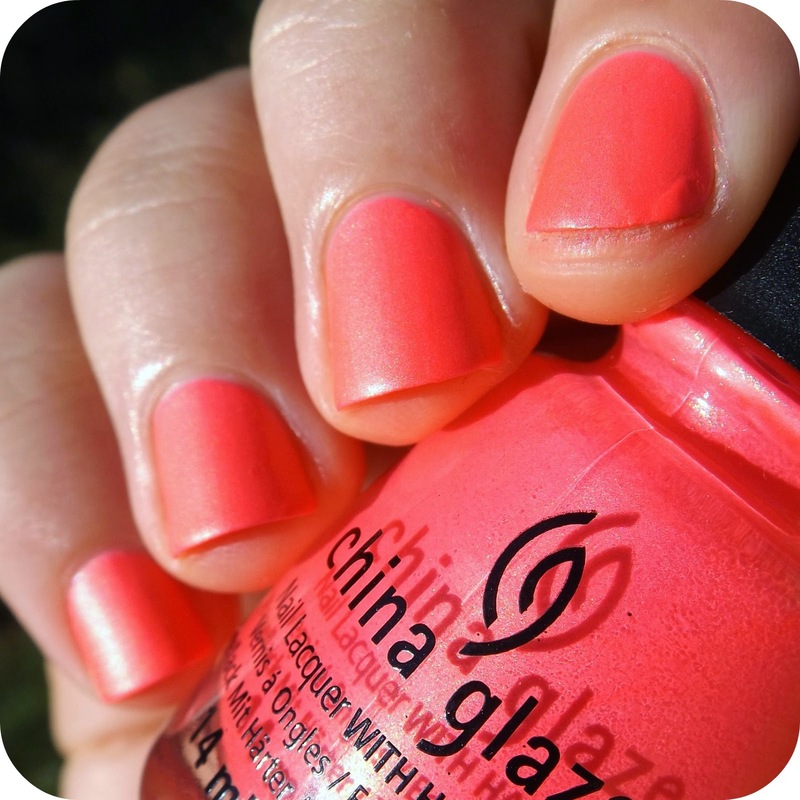 And here is China Glaze's Life's A Beach! I love the name on this one. This is a really nice and opaque formula for a neon. Very smooth and very shiny! It dries matte as you can see in the pictures. As this one was tricky for the camera to capture, the shade photo shows the colour more correctly. 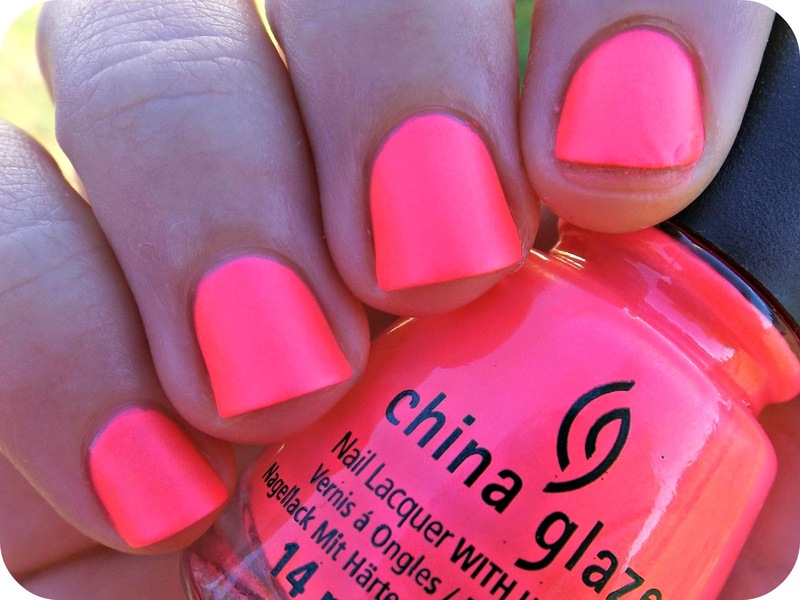 What a lovely neon shade! Looks great on you!! Thank you Diava! 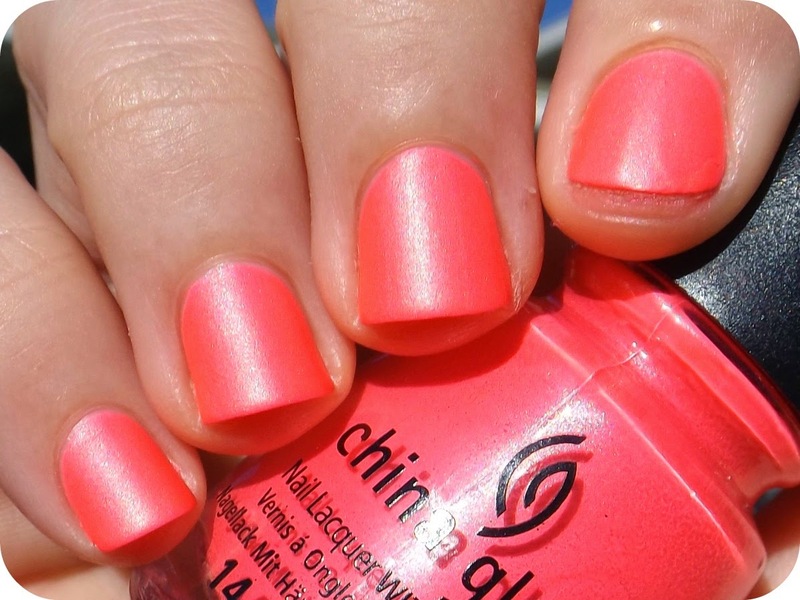 :) Perfect for summer time.